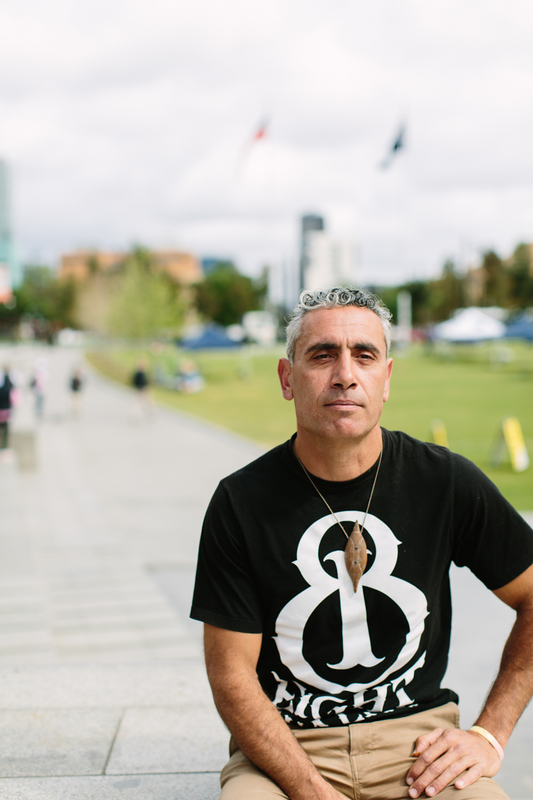 An artist, educator, community leader and cultural bearer, Karl Winda Telfer is spiritually drawn to sharing the knowledge of Adelaide’s first living culture and sees Tarndanyangga as the perfect place to start the conversation. “Down South is where I grew up, in my traditional country,” says Karl. “All of this here is my traditional country. “I’m from Mullawirra, which is a clan group, a family clan group, which is one of the groups that make up the Kaurna nation. “My Mum, Georgina Wlliams, as a single mother of four, she was keeping us away from the clutches of the law and keeping us in education and keeping us connected to culture through walking the country from a very early age. “She kept us connected to the natural world, because that’s what we’re all a part of. This hardness here that we have, all this concrete that we have, they’re obstructions stopping us from connecting to place. Karl is still pushing for the further development of Tarndanyangga – including the development of the native garden and a building that would function as a centre for culture – in line with the Master Plan initially approved by Council and key stakeholders in 2010. “I don’t want people to forget about this because Kevin [Taylor – a lead designer on the project] has passed away and this story is so important – to him and to the whole community,” he says. “The Square here is our symbolic heart. This is where the incoming cultures need to understand the first living culture of the land, of this place. “This is where people used to come from different places all around to increase the spiritual ritual strength. People from a long way, from up Adnyamathanha country, from up Berri country, from up North, from a long way away, people have been coming here for two ice ages. “I worked with the design team on the [Tarndanyangga / Victoria Square redevelopment] project. I was working with Kevin Taylor from TCL , Kate Cullity, all those fellas – working on the design and getting the support from the communities. “And we made a design where the whole story talks about turning a space into a place, for the people, the community and for ourselves. “But we’re still waiting for it to happen. This is Stage One, but there’s still Stage Two and Stage Three. We are supposed to have a garden to teach all the kids at all the schools in the CBD about the native plants and burn off, and how we used that as a land management tool. “And we were going to have a building that was going to be the Centre of Culture. It was a place for ceremonies and I wanted to have all this virtual reality gear hooked up so it can be informative, it can be anything it wants to be – projection, anything people want to do. “It was all so people can understand this country from before 180 odd years ago when it was proclaimed in 1836, so they can understand what it actually means to be here in this space because this space – it’s not just a space, it’s a place. “That’s why this place is so important, because we can sit here and talk, sit here and have a yarn – listen to all the generations, listen to all the people. Sharing – because nothing don’t belong to you, nothing don’t belong to anybody. 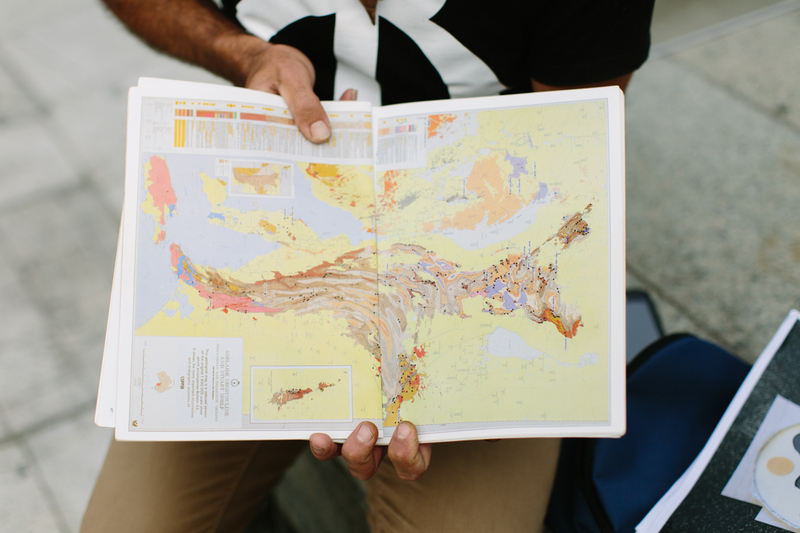 “That’s what I do – I bring people together through ways of understanding. I know more about European history than most people do, as well as the Aboriginal things. That’s the bi-cultural nature of things. That’s why any integration is not about being consumed by this culture, it’s about being integrated and respected, not dominated. “The dominant culture, those ideas, they were all created by these blokes over years and years, so now it is all about money and consumerism and control – and it’s all just superficial, it’s not real. What blokes have done is controlled every little thing on the planet and just oppressed it and dispossessed it from its own natural law, its own rights to live. “Our way is more linked into the natural world and I think everyone was a part of that before we got industrialised.